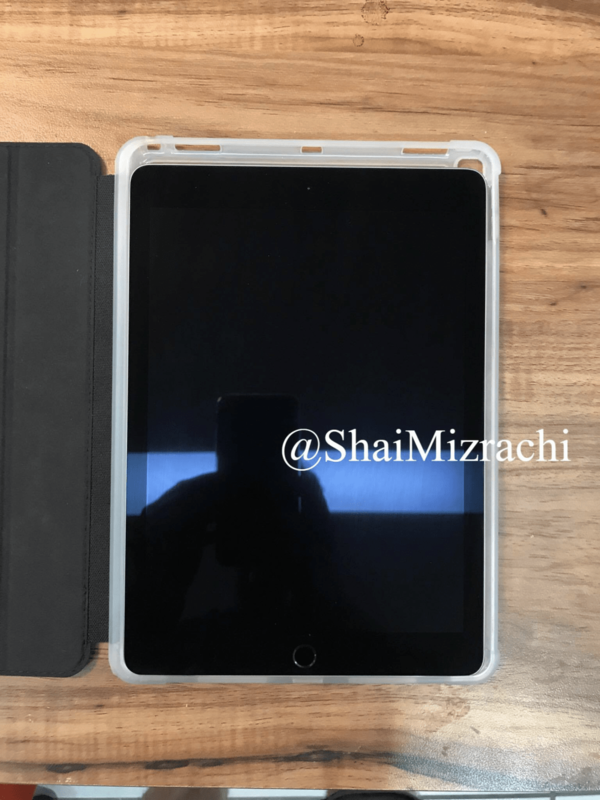 New Cases Image Showing iPad Pro 10.5-inch Is Coming: As we are approaching for the WWDC event of Apple, things are getting a bit interesting as we are getting glimpses of what to expect with Apple during this event. WWDC is developer conference but in some conference, Apple has also released hardware time to time, so people are expecting that Apple will launch new iPad Pro in this event as Apple has not done any March event. iPad Pro is the segment of iPad which is for Pro user like Creators, Teams, Office User who use computing power on go and require light tools for it as carrying Laptop is not easy but carrying iPad is very convenient. iPad also has good battery power which provides around 10 Hour or full day of battery life. Even though Apple is still struggling for the iPad platform to attract as many customers they want but still, they have not able to convince people to use it. Apple is facing a drop in iPad sales consecutively from 13 quarters. Apple has introduced iPad Pro 12.9-inch in November 2015 for people who want larger iPad. Since then Apple hasn’t updated the iPad yet, but the wait is really going to end as new leaked images showing iPad Pro cases with a new design, refreshed, and larger display. Apple is also revamping iPad Pro 9.7-inch to 10.5-inch with more display size, which will make iPad more productive but also really enormous to use. Apple also includes some feature to iPad which is expecting to announce earlier this year like the change in position of the microphone and various other. iPad Pro 10.5-inch will have the same volume as recent iPad Pro 9.7-inch in iPad Air 2 body. New Cases design shows all these features which might be present in coming to iPad this year. These photos come from different sources but all these cases have same design improvements. Most common is two new microphone holes compared to current iPad Pro hardware, one on the top edge and one centered at the top of the rear side. While comparing to recent gen iPad Pro or Air 2 which have mics on the side. 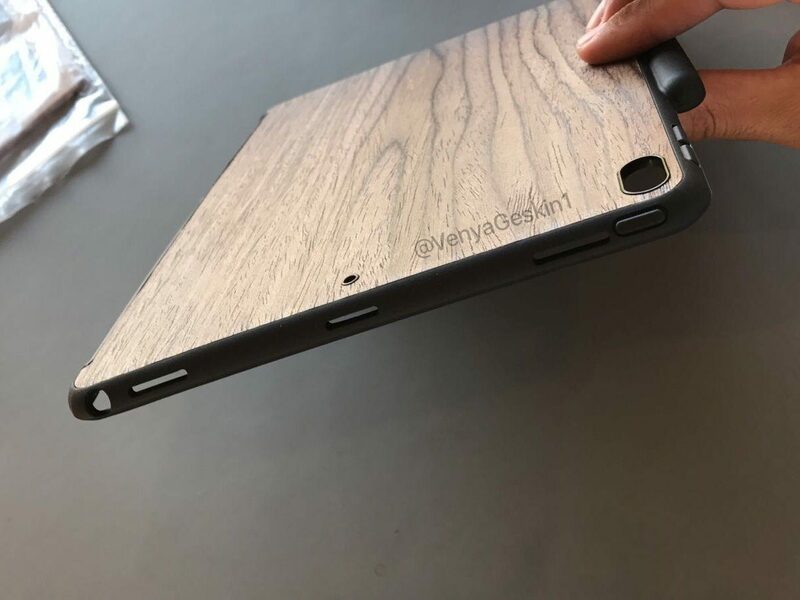 Talking about the image, we can see iPad Pro 9.7-inch is placed inside the case of new iPad Pro 10.5-inch. These photos are posted from @ShaiMizrachi. While increasing the device size Apple has to increase the size of bezels to match the device equality as Apple will make the device taller and marginally wider. Apple will stick to four speaker setup in iPad Pro 10.5-inch as they provide in the earlier model because these speaker setups create the perfect sound. So these are all new design improvements which Apple will introduce in its new iPad Pro 10.5-inch, while 12.9-inch will receive some improvements in design. The other improvement will be underneath the device as Apple will introduce A10X chipset for the new 10.5-inch model as well as the 12.9-inch model according to an earlier leak, which surpasses all the benchmark with the wide margin. So this performance will make this iPad really awesome. Apart from this, Apple has pushed their effort to made iPad iOS more like macOS rather than mobile OS which makes iPad little bit underrated. So all these improvements will be seen soon in Apple developers event, so stay tuned in Apple event at 5th June 2017 until then good bye and stay connected.